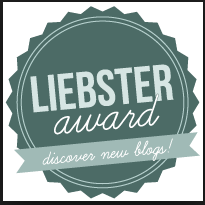 I do not have a web background (I am a RN by profession) and I appreciate all the user friendly interfaces of WordPress (as I learn them) including setting up special navigation side bar options to make a blog easier to navigate for my readers (and I appreciate each and every one of you!). 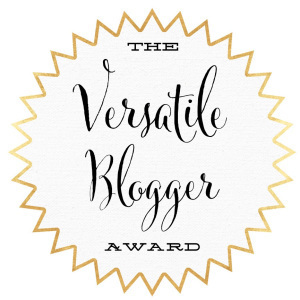 WordPress appears strongly committed to the ongoing education of its bloggers and provides great tips in its blog The Daily Post. Recently I learned how to create Categories on the tierneycreates and assign a categories to my posts from a The Daily Post article on Categorizing. CATEGORIES are located in the left navigation pane. Assigning “Categories” to my posts will allow readers to browse my previous posts by a specific theme they are interested in. 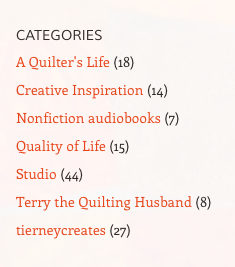 Say for example, you only want to read about “Terry the Quilting Husband” – click on the Terry the Quilting Husband and read only those posts. If you only want to read about my sources of creative inspiration, then you can click on Creative Inspiration and see all the posts from my series on Creative Inspiration. Setting up “Categories” was a cool exercise as it made me think about what are the general themes of posts I want to have on my blog? What themes/topics/ideas am I passionate about and want to write about? 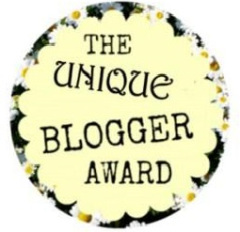 The seven (7) categories above capture what I want to focus on as a blogger. Thanks for reading! Right before Thanksgiving we had “Snowmageddon 2015” in Central Oregon. The entire area was blanketed with 12 to 24 inches of snow (depending where you live); gusty winds; and low temperatures (single digits, Fahrenheit). With the snow came beauty and inspiration from natural shapes. I was creatively inspired by how nature handles the melting of snow in the form and shapes of icicles. I recently took this photo below of a house in my area with large icicles hanging from its roof; and I am feeling a future art quilt inspiration based on this photo. Looking at my credit card statement for the past 30 day period, I was appalled to see how many different charges there were to Costco, our local “Warehouse Club” store – 6 in a month’s time! (Depending on your location, you local warehouse club store might be Costco, BJ’s Wholesale Club, or Sam’s Club). Obviously I have a problem: How many times in one month do you need to stock up on a packages of items that would supply, say, a small military base, when there are only two humans living in your house? I hate to do this by letter but if I see you in person, I will not be able to be strong (I would grab a cheap frozen yogurt from your snack bar and start running through your aisles looking for all the things I do not need). I have to take some time off in our relationship. I am not sure if I want to permanently break up or just have a “cooling off period”. Things have gotten too intense in our relationship and I have been spending much way too time with you than is healthy (financially). I will miss your 80+ jars of pickles (when I only wanted a couple pickles), and your triple super duper size packaging of items that would take me a lifetime to consume. Most of all I will miss your fantasy-electronics-section with its 60, 70, 80, 200 inch TVs with infinity edge 3D screens showing glimpses of what ultimate TV viewing could entail. But I must be strong. I hope you can carry on and stay open without me. Basted? As in “basting”? If you are not into sewing, you might think I am referring the culinary process of basting (moistening food with a liquid to keep it soft, such as when making a roast). 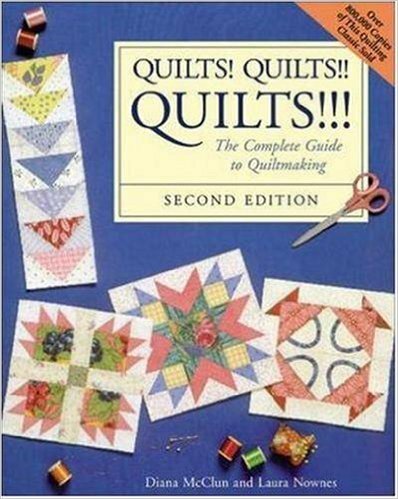 I promise you, as much as I love quilts and quilting, I have not started eating them (smile). I am referring instead to the process of sewing down a quilt sandwich (again Tierney, what is up with the food references?) – the quilt top, the batting, and the quilt back – using large/long stitches to temporarily anchor it together. A quilt is basted to hold everything together while you add the final smaller machine (or hand) stitching. 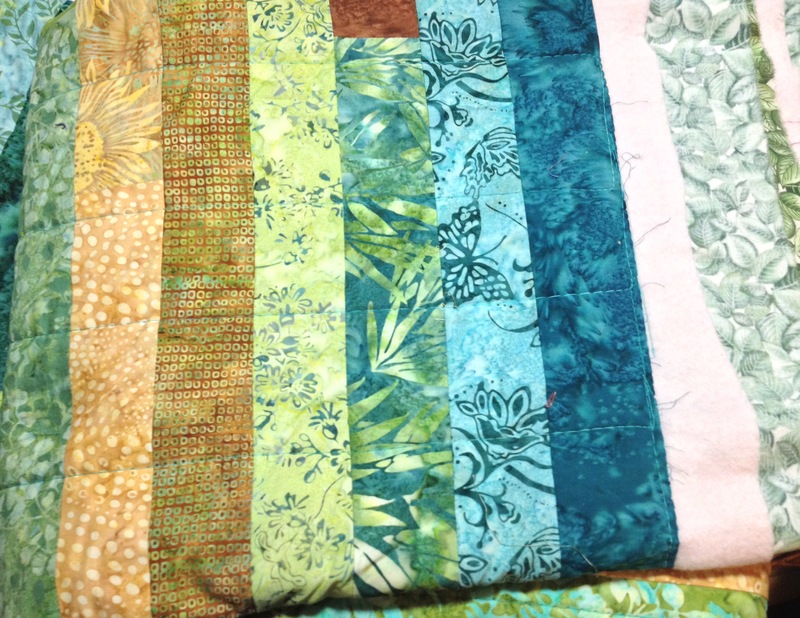 In several older posts, like Progress and Fear, I discuss dealing with a large backlog of quilts, received from the long-arm machine quilter, that I needed sew binding on and finish. I have many of my quilts (especially the large ones) professionally quilted by a wonderful long-arm machine quilter. This is not free to have done. Normally I can handle the reasonable fee my long-arm quilter charges. However, “Terry the Quilting Husband” was very prolific in quilt making this past spring and summer. As a result I had a lot of new quilting turnover and expenses all at once. My long-arm quilter, who is also a dear friend, was very sensitive to this and offered on one of my next quilts, that she would baste it on the long-arm machine for me and charge me for that service and the batting, significantly less than a full professional long-arm machine quilting. Then I could quilt it myself with my regular sewing machine without the struggle of trying to baste it on my own in a domestic machine. 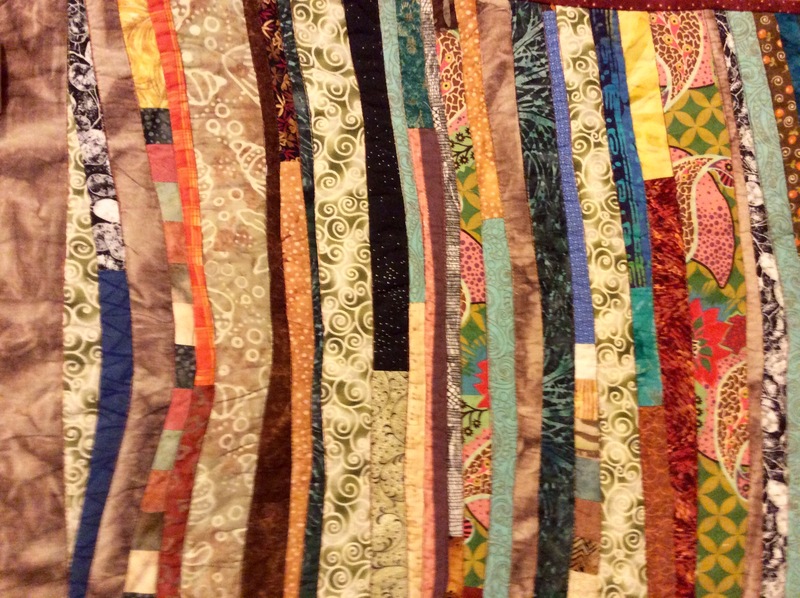 A couple weeks ago I got the quilt back from the long-arm quilter, all nicely basted. In the photo below you can see the large/long basting stitches. Yes. You guessed it. 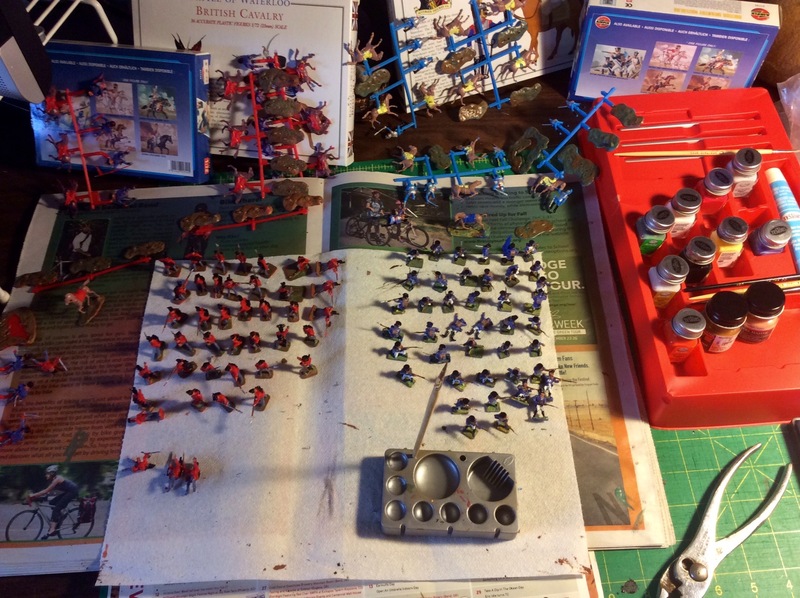 I am tempted to say: “This looks good, this will work, I can just put the binding on and call it good”! I have been struggling with temptation. The temptation not to quilt it myself and just have a basting as the final quilting (the quilters reading this part of the post are either gasping in horror or nodding their heads in understanding). For the time being, I am just letting it sit in the corner and I am sure I will eventually quilt it myself. On my page Textile Adventures for the July 2015 Entry, I mention that I am working on entering juried show. Since July this year I have been submitting entries for juried art and art quilt shows and I have been received a rejection letter on all my entries. Nearly two years ago I read an article by an established professional art quilter, Carol Ann Waugh, in the SAQA (Studio Art Quilt Associates) Journal, on how to become a Professional Artist. One of her tips was to enter juried art shows in order to build your resume. I have been lucky enough for a couple of my art quilts to be accepted to several juried shows in the past. However, the shows I have submitted my work to this Summer and Fall, I really wanted my work to be accepted. One of them was a show that I daydreamed about being in. Alas, my work was rejected. Yesterday, I did have one of those moments where I thought “Well I am just not good enough, and I am not sure my art quilts will ever be good enough”. The work I see in the SAQA journal is fairly intimidating. Some days I wonder: “If I did not have to work and could focus full time on my art quilts would they become more ‘show worthy’?” However that is not my reality and we have to all work within the reality we live. I am continually reminding myself of all those famous quotes (paraphrased) – that it took Thomas Edison a zillion failures before the light bulb; that this famous author/that famous poet had numerous rejections until they made it; and etc., etc., etc. However for now, I think I am just going to be sad a little while longer about the rejections and then move on and get back to creating.